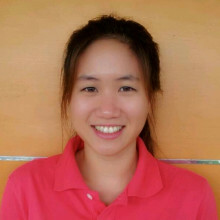 Nattha Tritasavit is the International Coordinator at the Health Intervention and Technology Assessment Program (HITAP). Her work involves bilateral and multilateral collaboration with international organizations, HTA networks, academic units, and country governments to transmit HTA expertise and support capacity building in low- and middle-income countries. Since joining HITAP in late 2013, she has participated in a range of projects, including but not limited to maternal and child health, seasonal influenza vaccination, and capacity building for evidence generation.